Today I will be sharing this new recipe I tried and winged the other night and man did it turn out. 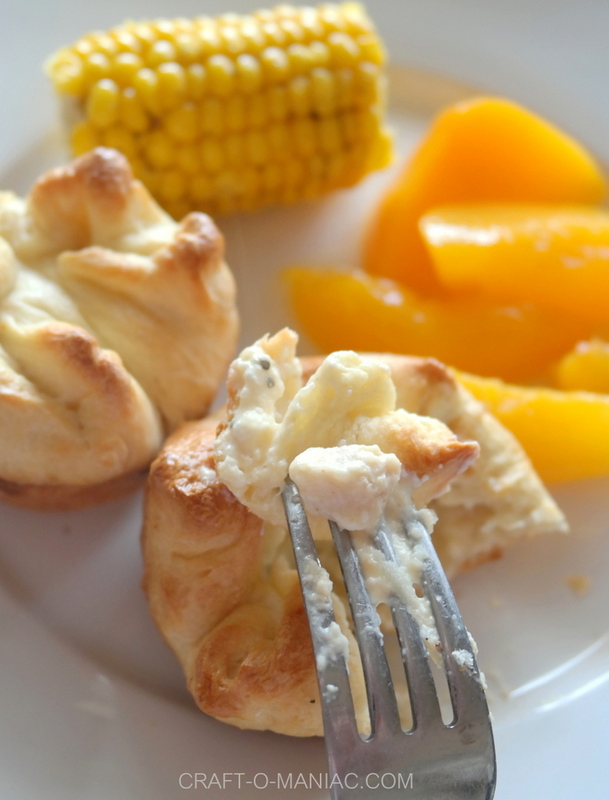 It is so yummy, and the best part my kids devoured them and even had seconds. That’s a home run moms. So what am I sharing with you? 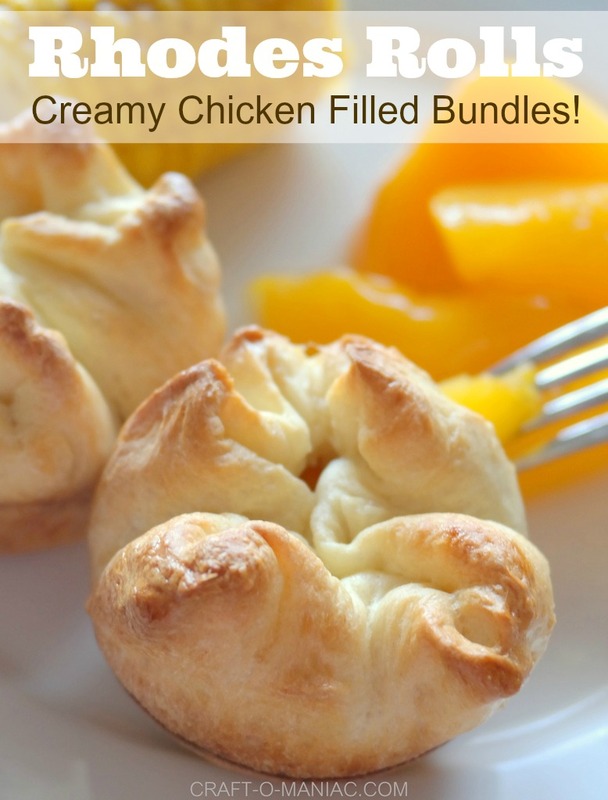 these delicious “Rhodes Rolls Creamy Chicken Filled Bundles” This recipe happened when my hubby had taken out some rolls to un-thaw and rise all day. After they had doubled in size and were ready to bake, I said to him “What are you doing with those rolls?” he had no clue and no main dish was planned either, HA! got to love that guy of mine. Well that is when it hit me? I thought I would roll them out and fill them up with some kind of chicken mixture, seal them up, and bake them. So here is what I came up with. Start by greasing your rolling pin and counter with some butter or pam spray. Then one by one roll out your rolls until they are about 5 x 5 or 6 x 6 inches in diameter. Then place each of them in a sprayed cupcake tray. 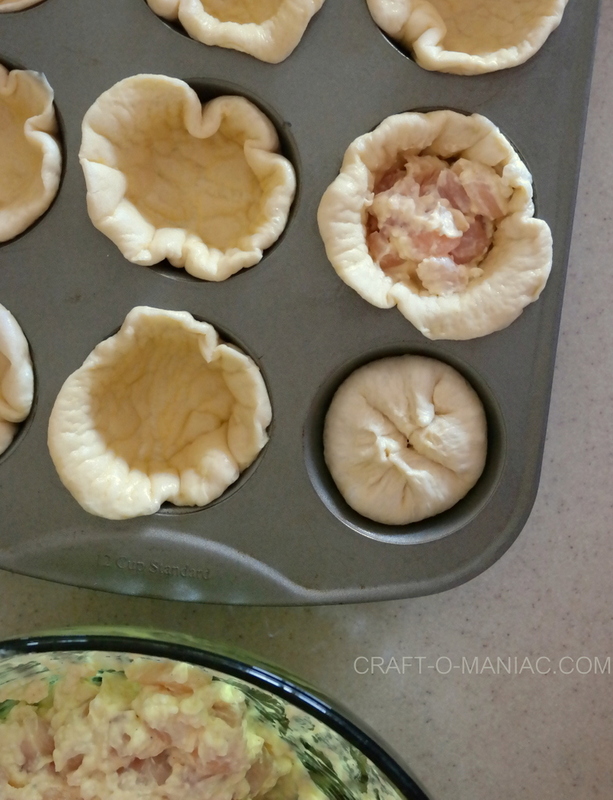 If you aren’t using a cupcake tray, these work great on a cookie sheet as well. Once they are all rolled out and placed in the cupcake tins set them aside. Next take your filling and place everything in a bowl adding your seasonings last. Mix it all with a hand mixer, set aside. Next cut up your un-thawed raw chicken into small little squares, and add them to your filing mix, spoon it all together really well. Now you are ready to fill up your Rhodes Rolls bundles. Take a spoon and spoon out a small to medium amount of filling and place it in the center of your bundles. Then gather up all the sides of the rolls pinching them together. Do this with all your bundles. I also did an egg wash to the top of them. For the egg wash take 2 cracked eggs and a splash of water, whisk it together and with a cooking brush, brush the tops of your chicken filled bundles. Now you are ready to bake them. Bake at 350 for 20 minutes. Check the inside of one to be sure the chicken is thoroughly cooked. These are so good and you will enjoy them. Yum! I hope your family enjoyed these as much as mine did. Its a recipe we have filled away for sure and will be making again and again. Kind of confused on the instructions. 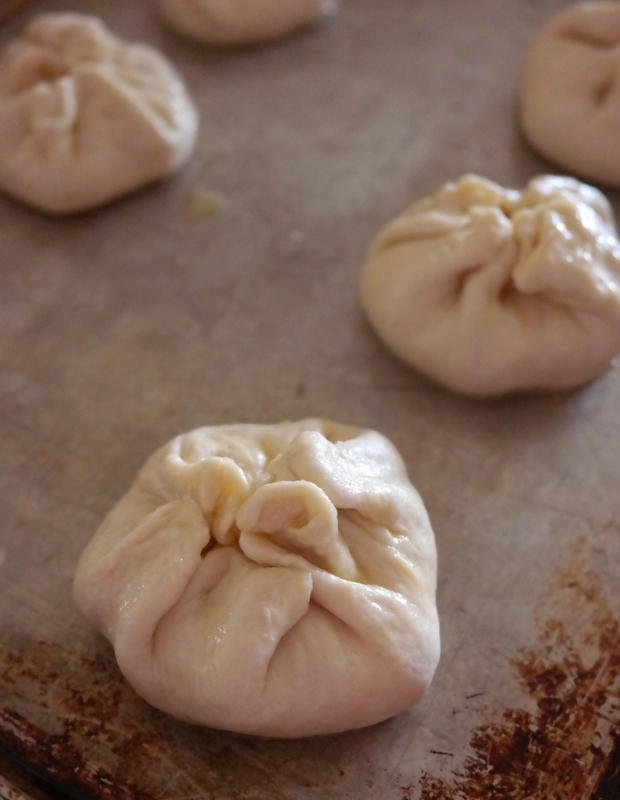 You say, “Un-thawed and risen rolls. Can you explain that? Thanks.